We noticed as of 19.07.2012 and based on numerous runs, the % of CP appearance via Roulette has increased for 1CP and 3CP than 5CP. Based on assumptions, 50% you get 1CP. 30% it's 3CP. LOL 1% or less 5CP. What were your experiences @ the roulette? More of 1CP right since the adjustment to CP drop via Epic, High Alert Terror and Boss on 16.07.2012? The runs were based on two accounts - Level 221 and Level 137+ in Chapter 6-5 Magic Hand, Chapter 7-6 A Whole New U, Chapter 5-6 Hydra Assemble! Energies spent definitely more than 1K per account. Then, how to get more command points easily? Epic Boss Drop: Goblin Glider, P.E.W. "Stoic"
Scrapper - 2 BattlesAny Hero x2 - 1, 2Storm - 2 Battles - S.A. "Siege"
Boss Drop: Overwatch, A.R. "Striker"
We also noticed as of 19.07.2012 and based on numerous runs, the % of CP appearance via Roulette has increased for 1CP and 3CP than 5CP. Based on assumptions, 50% you get 1CP. 30% it's 3CP. 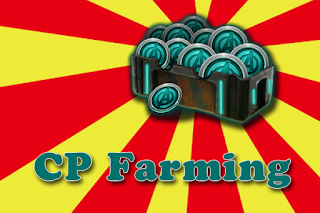 LOL 5% or less 5CP. FYI. - 1 to 3 Command Points is more plausible. - 5 Command Points is rarer and scarcer than before. Boss Roulette if you hit jack-pot. This is the least preferred method. Intentational or bugged, as of Tuesday 17.07.2012, Command Drops are no longer guaranteed to drop in all EPIC Bosses fights including High-Terror ones. If intentional, the move is purely commercial, with some believe Playdom hopes gamers will turn spenders if they wish to stay collectors and competitive within this game. Weapons that can be used to generate multiple hits so as to induce Command Point drops. There are also other single or all enemies hit weapons but these are the more commonly accessible weapons used. Deployed from Level 84 onwards. 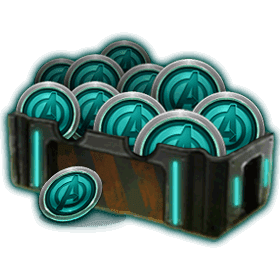 To make and obtain Command points in Marvel Avengers Alliance. There are a couple ways that you can do. The best way to gain command points appear to be winning battles against epic bosses. 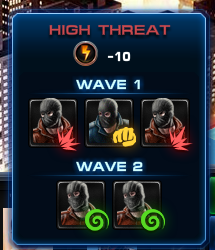 Enemies in battle will drop command points at random. 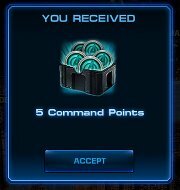 5 stars at Master a mission give 5 command points. Using the CP Farming Method. Command points are mainly used to recruit more heroes. The probability of getting command point from the battle with boss is so high. Try this weapon list. 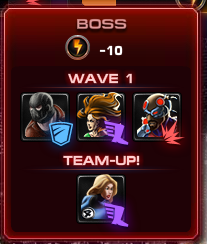 Let the boss win, then you have the chance of getting 1 command from 10 energy.